Chimney Pot Cottage is a relaxing retreat for guests visiting Tybee Island! 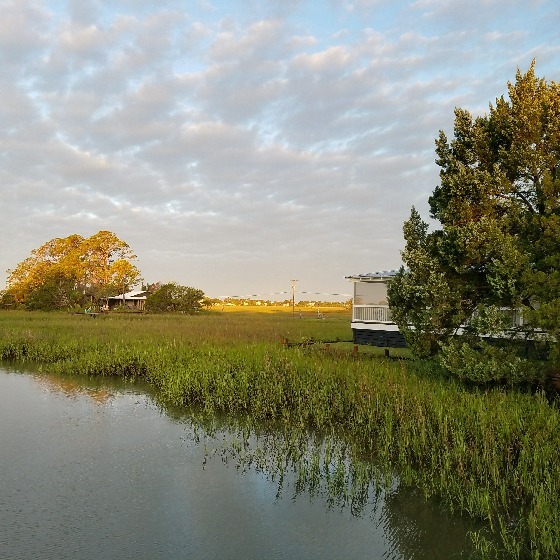 This charming cottage has a private dock and screened in porch overlooking the quiet Creek and marsh grass. You will enjoy privacy and serenity in a relaxing atmosphere on an over 1-acre home site. This sweet cottage has great views of the surrounding tidal creek. 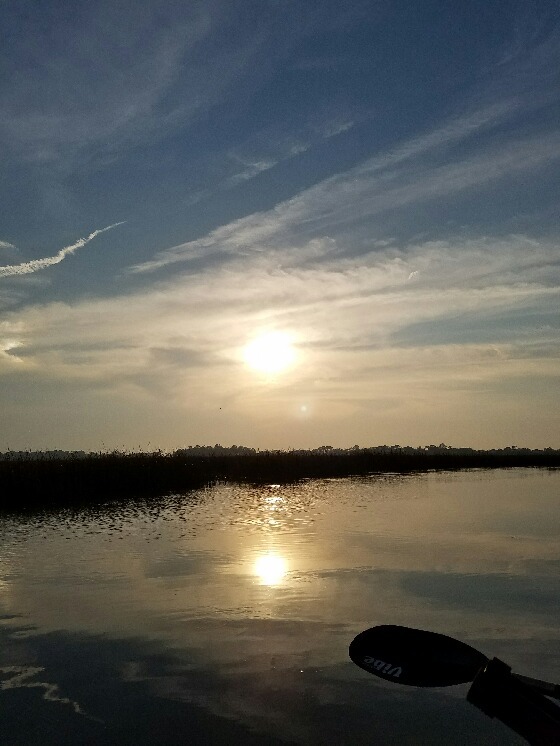 You will enjoy quiet seclusion, fishing, excellent bird watching, and the ability to launch your kayak(s). Unwind with a good book on the porch swing overlooking the creek. A perfect little paradise tucked away from the rest of the island. Inside the home, there are 2 bedrooms and 2 bathrooms. The living room has a flat-screen TV and a sleeper sofa, for additional sleeping. The kitchen is fully equipped. The first bedroom is furnished with a King bed and a flat-screen TV, the second bedroom has a Queen bed and a flat-screen TV. There are two bathrooms, and a full-size washer and dryer for guest use in the home. Enjoy outdoor dining and entertaining on the property in the separate screened and covered grilling patio with a gas grill and seating for 6. This is perfect for outdoor dining and cookouts while visiting! 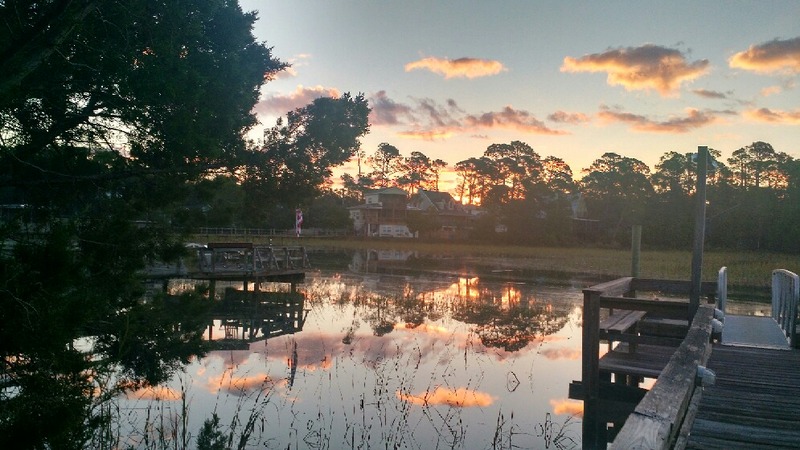 Watch the sunset from the private dock. 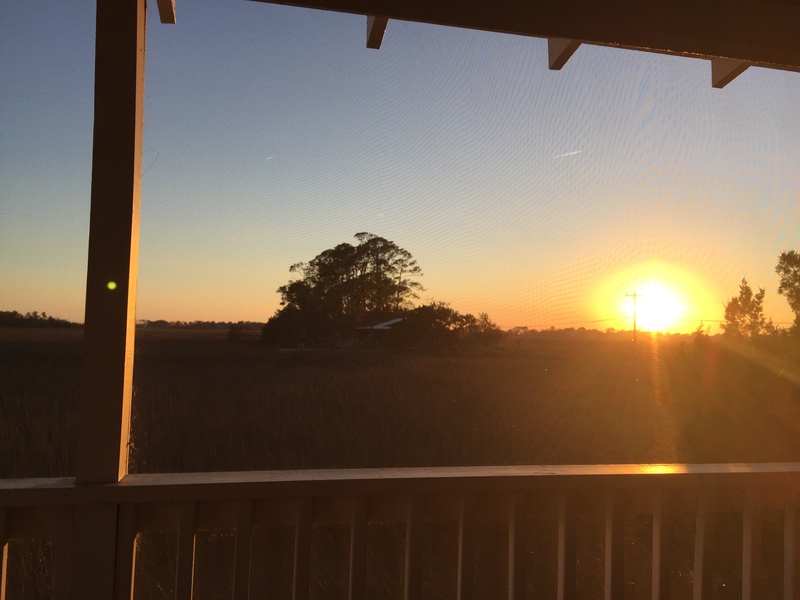 Perhaps this is the reason that the quaint Chimney Pot Cottage is a favorite among repeat Tybee visitors. This cottage is Pet-Friendly and offers Wireless High-Speed Internet (WIFI) and parking for up to 3 vehicles. We were very impressed with our trip and our dealings with the company. When we arrived on the 16 of April I told the girl at the counter that I was here for a marriage proposal. They were very enthusiastic about the news. That same day after a successful proposal we returned to find a bottle of wine and a card from the company congratulating us on our engagement. We both thought that was very nice of course and my fianc plans on putting it in our scrap book. As far as the cottage it was great. Cozy, very clean and exactly as it was explained on the description. 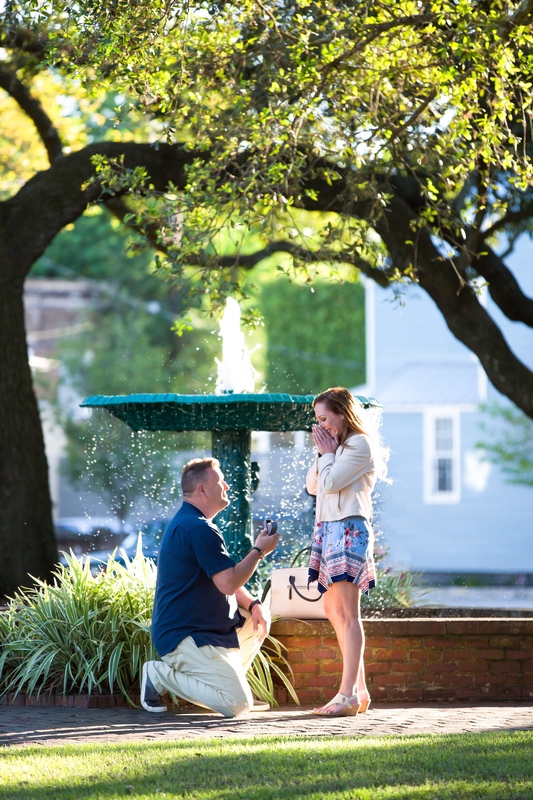 Thank you TBR for making our engagement very special. See you all soon. 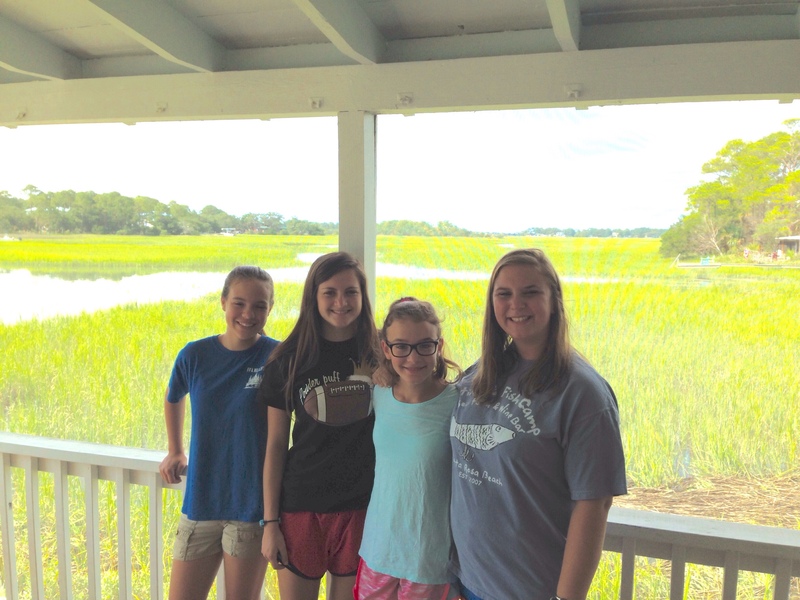 We loved this cottage on Tybee! The house was nice and private and was perfect for a winter getaway. The creek side dock on the marsh was amazing for wildlife viewing. We were even visited by a dolphin and got to watch it feed. What a treat! We definitely recommend the Chimney Pot Cottage, and will certainly come back again! A great quiet getaway to relax and recharge. Really enjoyed sitting on the porch and dock watching and listening to the wildlife. Really enjoyed our 4th stay at Chimney Pot! 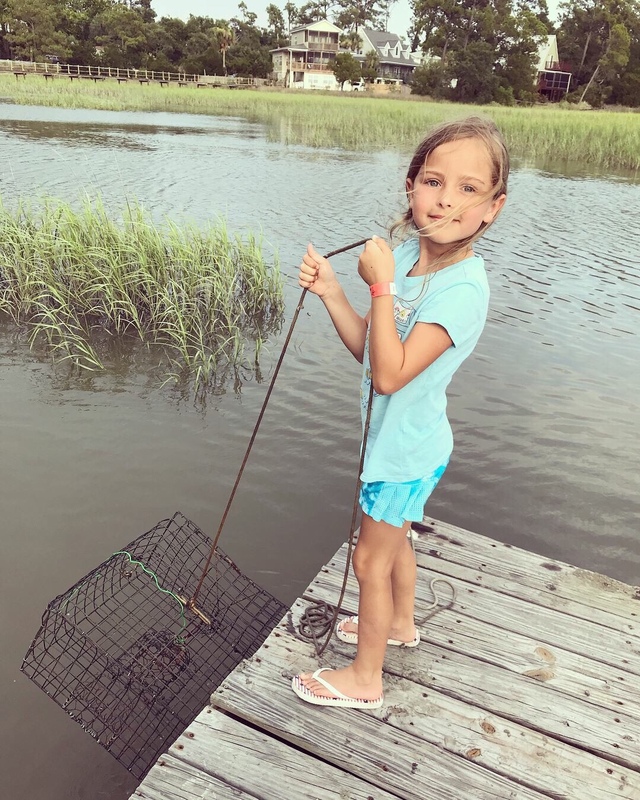 Took in the beauty of the marsh, caught some fish and crab off the pier, savored the local resturaunts, soaked up the sun and the kids loved the waves at the beach. Cannot wait to return to this perfect Southern escape from Wisconsin! The picture sums it up. 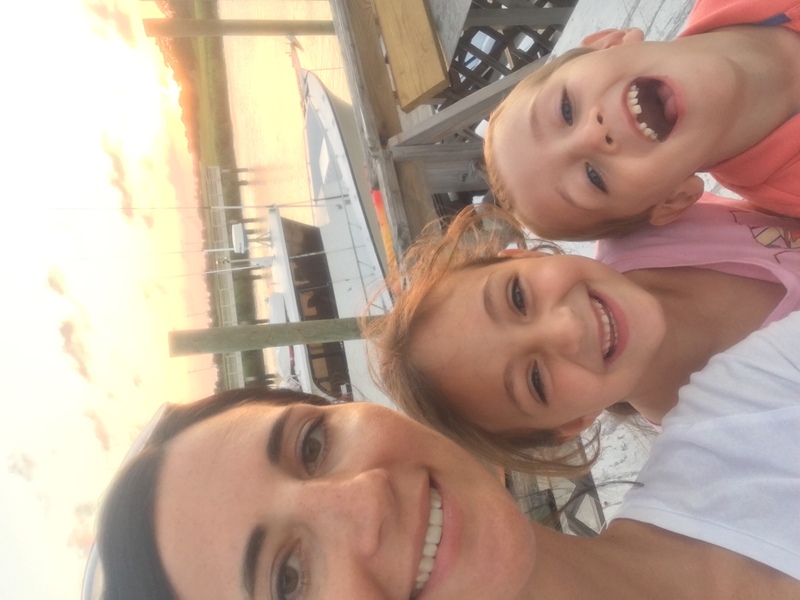 Our children has such a blast at this picturesque marsh front cottage. From the moment we got there, they were stuck to the dock fishing and crabbing. They just loved it. We could not have been happier with this cute cottage and will definitely rent again. It was very rustic and beachy and gave you the vibe you want on a Tybee vacation. The kitchen is well equipped and spacious for the size. The 2 bedrooms are large and bathrooms great. It is not an elegant beach house. It has more of a homey vibe. The porch view is inspiring. Our only complaints are that the AC does not work very well (it easily gets hot in the cottage), there was some peeling paint on the walls, and there were ants in the kitchen. All of which we could manage. 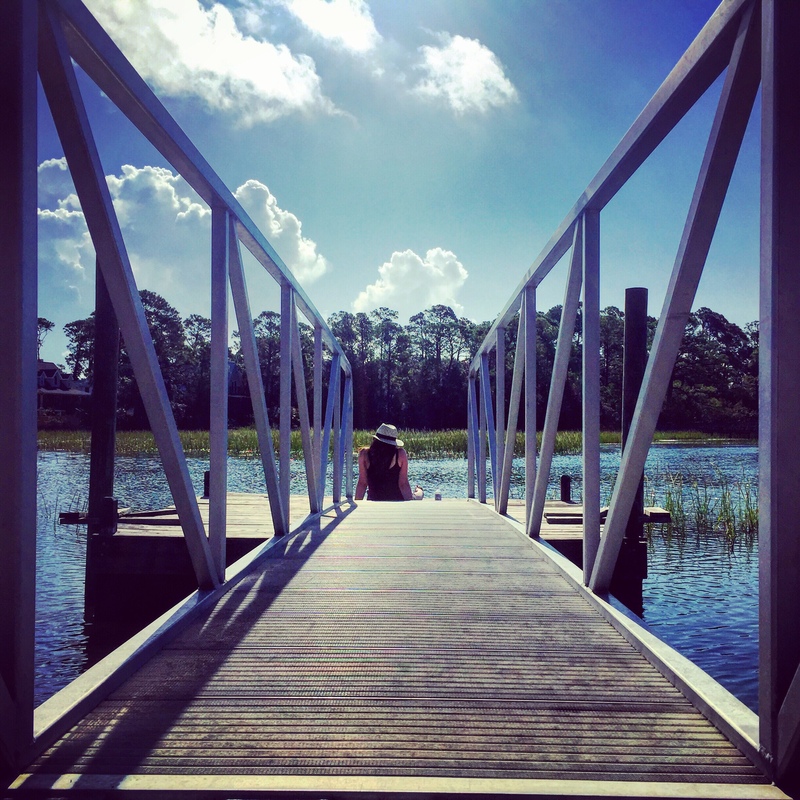 Tybee vacation rental company makes rental easy and carefree. We rent at least 4 houses a year even though we only live 10 minutes away because we have family that come often. We will be sure to continue to give them our business. See you next year! Cottage was perfect. Very clean. Privacy a tremendous plus. Relaxing and quiet. Would love to stay there again! What a perfect, relaxing Christmas! 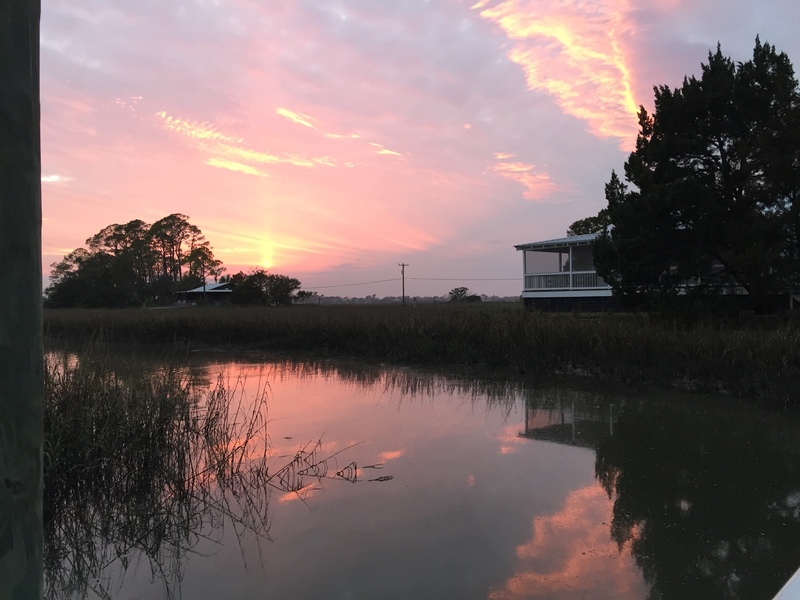 The cozy cottage, changing tides, the parade of wildlife up and down the creek, the surreal sunsets over the marsh - all combine to make this spot special to us. We loved everything about this cottage, but if I had to choose the best feature it had to be the view. The sunrises and sunsets are spectacular. We saw lots of wildlife even a dolphin in the river marsh. The lighthouse can be seen from the dock. Can't wait to go back. Next time I will have to carve out a day just to stay on the porch and watch the tides come in and out. This quaint little cottage was perfect for our weekend stay. My daughter got married on the beach and this was the perfect spot for us to retreat to after an eventful day. I see another weekend getaway to tybee soon! We had a great time at Chimney Pot Cottage! 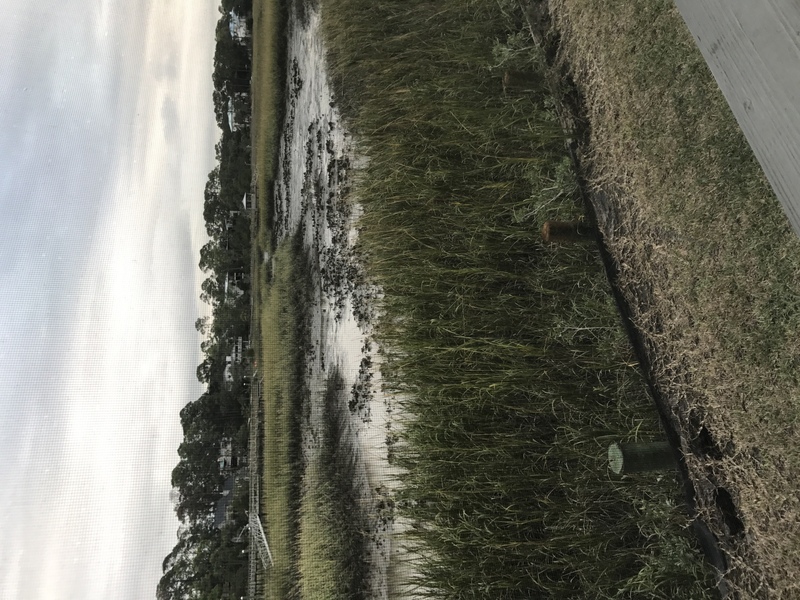 It was fun to explore all of Tybee but lots of creatures were accessible at the marsh! Would recommend for anyone looking for a relaxing stay. The screened porch is perfect for a nice view and breeze. We'd love to come back! May 2017 ~ We LOVE Chimney Pot Cottage! Wonderful break at Chimney Pot. We spent a lot of time sitting on the porch and relaxing in between playing on the beach and in Savannah. A great location for a girls' getaway! The porch was perfect for coffee and conversation and for watching the sunset. Good location close to shopping and restaurants! Hope to come back! The marsh views are amazing. House is so cute and quiet. We were sad to leave and will be renting the cottage in the future. 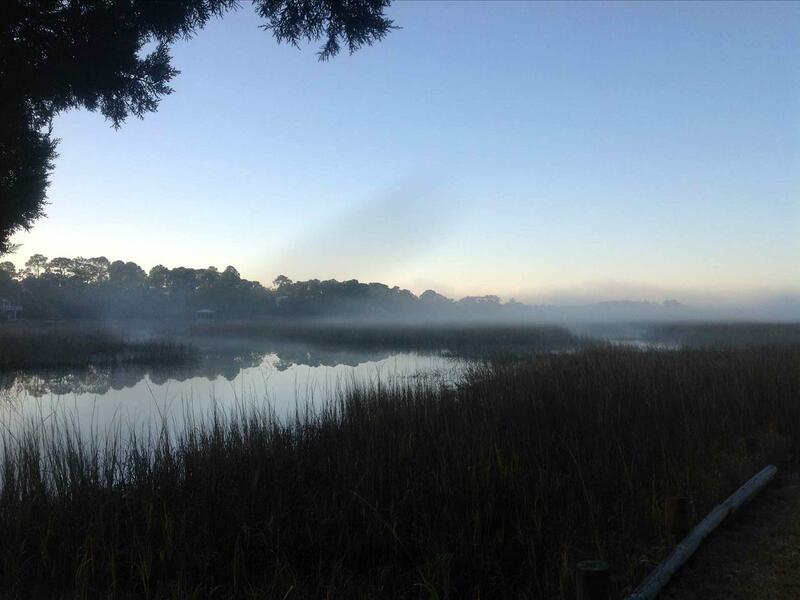 If the peace and serenity of marsh views is what you enjoy, this cottage is for you. 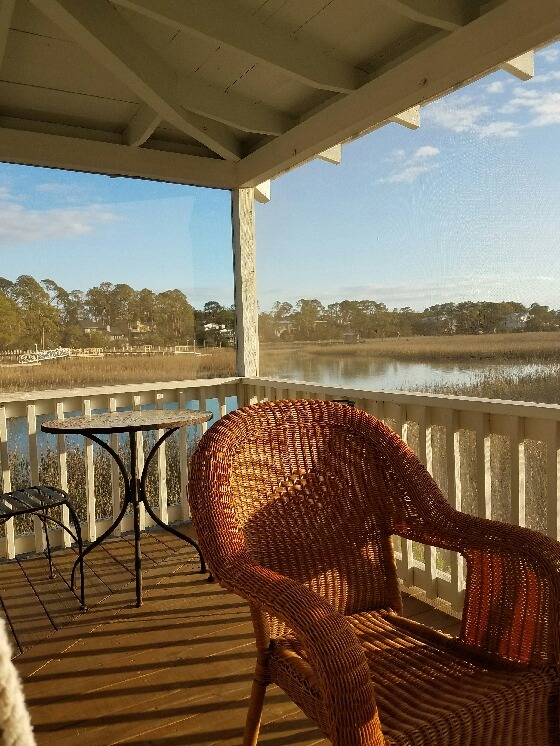 The screened porch gets morning and afternoon sun and you can even enjoy sunset from the porch swing. I loved this cottage and plan to rent it again. Had a wonderful time. Fully enjoyed the house and screened in porch. 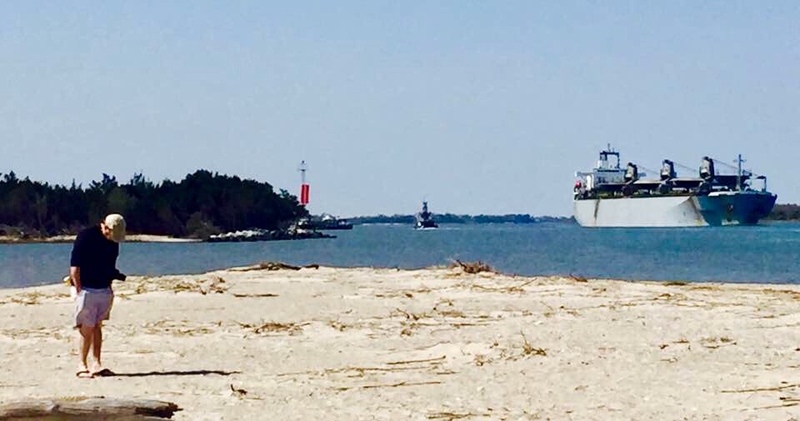 Being able to kayak & see the lighthouse from the dock was a delightful surprise. We had a wonderful time on Tybee and in Savannah. What a beautiful island and city! Staying at the Chimney Pot made everything easy and convenient. We loved sitting out on the porch and taking in the view. Loved it at Chimney Pot Cottage once again! 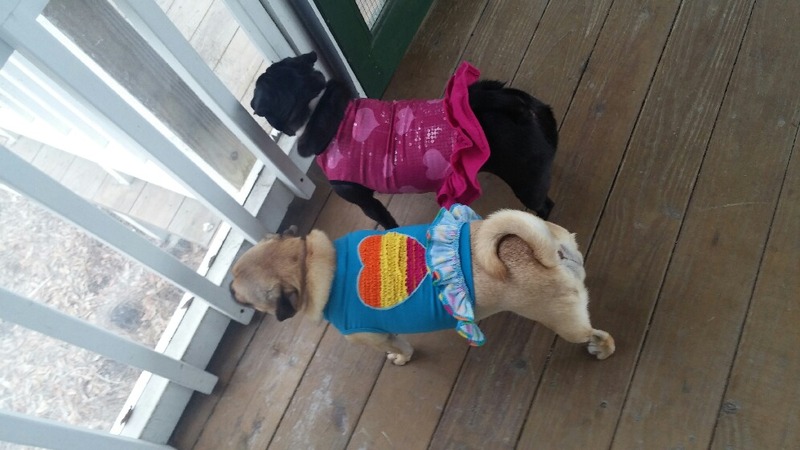 We and our doggies had a great time; not even Hermine could spoil the fun. Thanks once again! We really enjoyed the cottage. 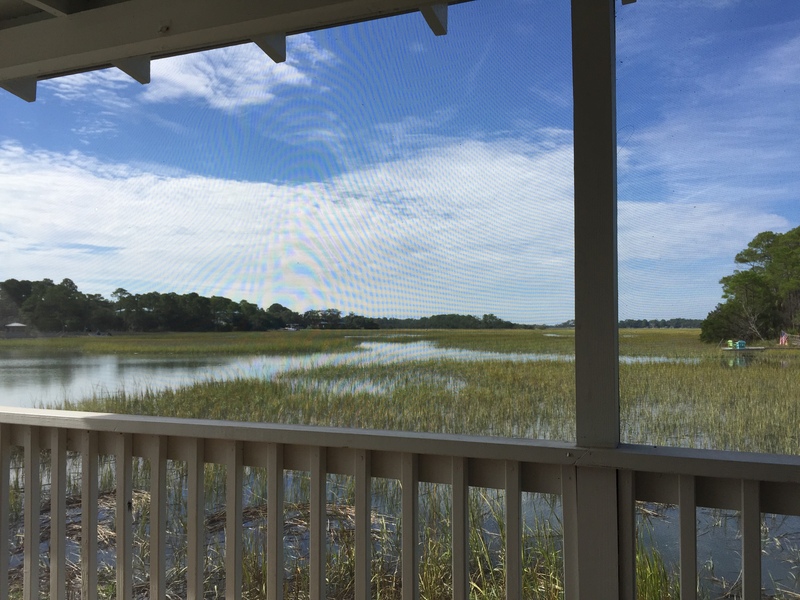 The screened porch was the best - we spent lots of time there watching the wildlife and the tides go I'm and out. we brought our canoe as well. It was great that we could bring our dog along on vacation. The cottage is nicely decorated and there are TV's in every room with DVD players - bring movies. Chimney Pot Cottage is an adorable house in a beautiful setting. Even though it's just off the main road, it feels like it's off the beaten path, in its own little hideaway. The cottage is clean, charmingly decorated, and very comfortable. 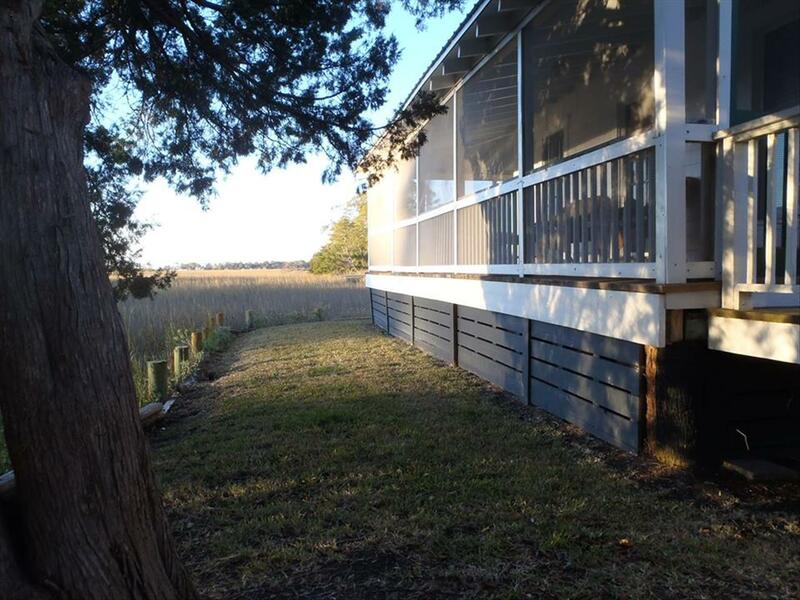 The large screened porch is relaxing and offers beautiful views of the marsh/waterways. We brought our own kayaks, and had fun paddling around and exploring the area. There are several shops and restaurants a short walk away, and the public North Beach area is only a five minute drive. 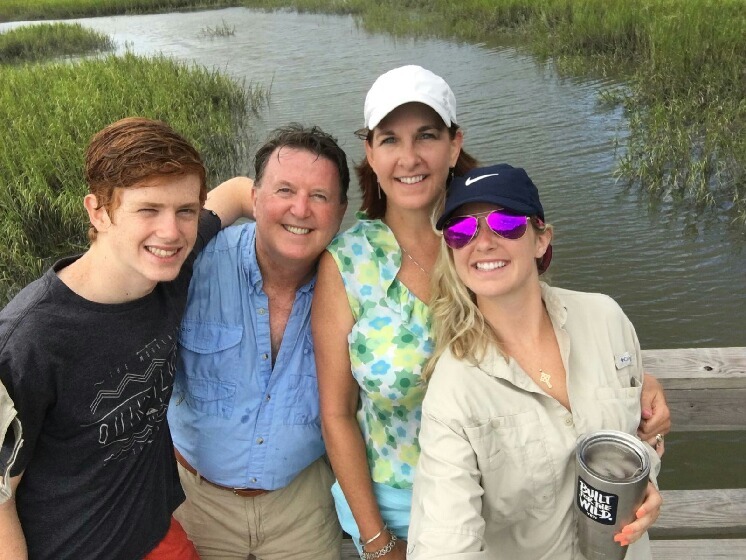 I would recommend Chimney Pot Cottage for anyone who wants a home away from home, with some alternate adventures, while visiting Tybee. Our stay at Chimney Pot was enhanced this year by all of the impovements. The floors look amazing, and the exterior siding has made an enormous improvement in the appearance. It so nice to see that so much care is taken in keeping the property fresh and inviting. 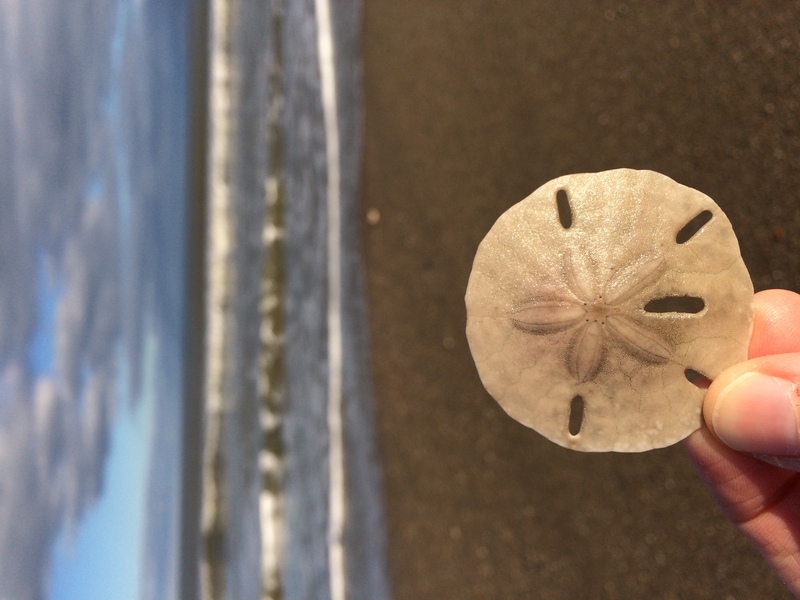 I would like to give kudos to Tybee Vaction Rentals. We have rented cottages, apartments and houses all over the world, and TVR provides excellence in service that is unbeatable. Keep up the good work and we'll see you next year.